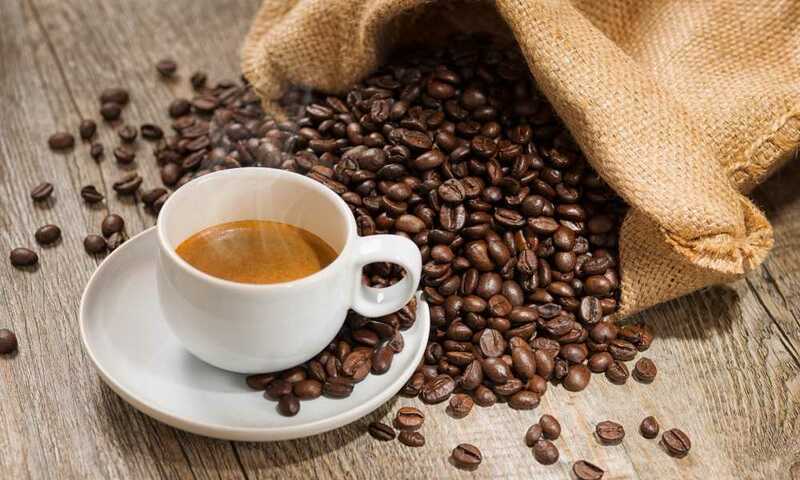 Although coffee machines are rising in both sophistication and popularity with every passing day, some long-time coffee drinkers insist that coffee can only be truly appreciated when it is brewed using a French press. 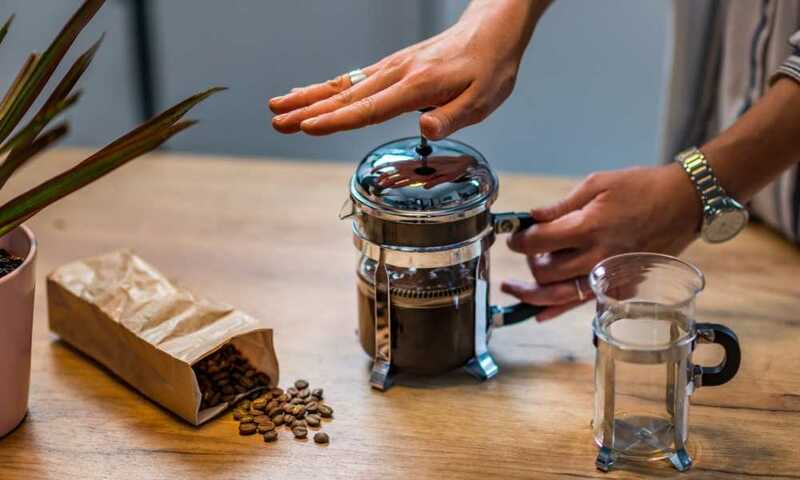 Whether you’re a dedicated French press user or have only recently decided to make the jump from a coffee maker, you’re going to love the Secura Stainless Steel French Press. The Secura Stainless Steel French Press is a modern twist on an almost century-old design. With a filtration system comprised of three layers of stainless steel, it is guaranteed to outlast any coffee maker in its price range. 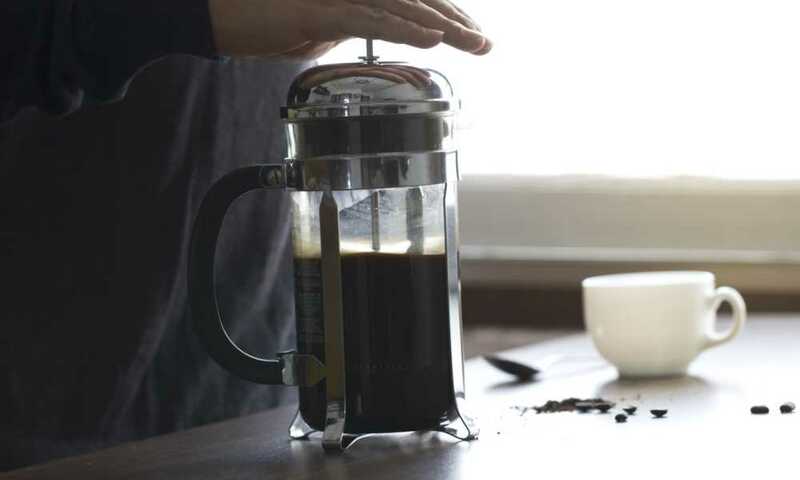 Secura first made this French press available online in the spring of 2014 and it remains among the brand’s top products half a decade later. 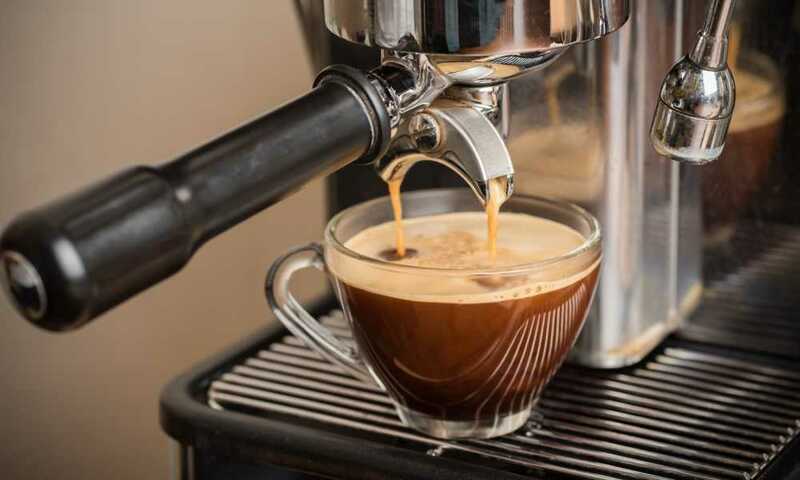 It should be noted that the brand has since released an updated 50-ounce model, but such a capacity is unnecessary unless you are living in an apartment full of coffee drinkers. 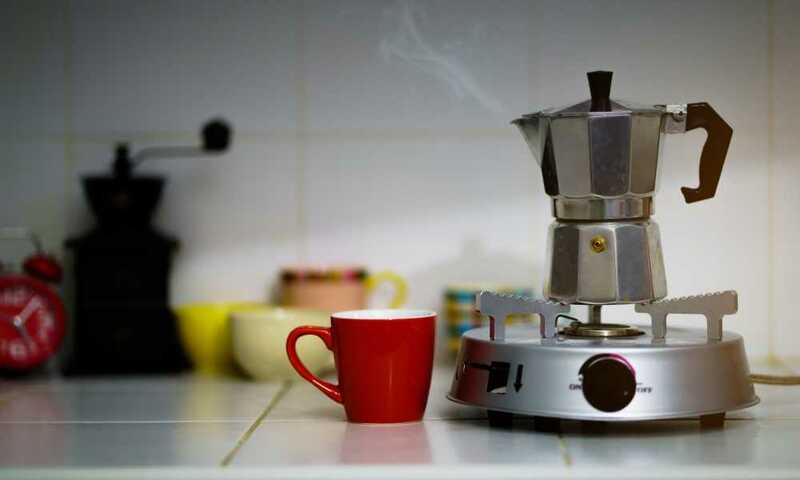 Different French press users have different opinions regarding the optimal brewing time for coffee made using the appliance, but it is generally recommended that you brew for no less than five minutes and no more than twenty minutes. 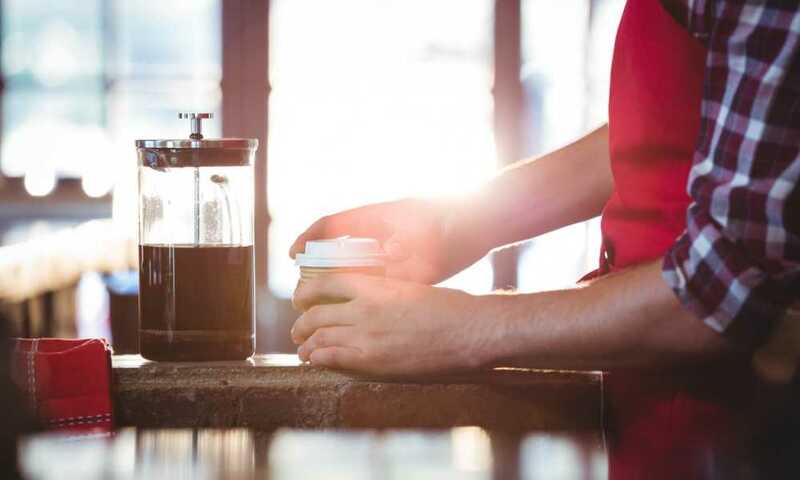 Obviously, waiting five minutes for a cup of coffee is a bit of an inconvenience, so those who are regularly in a rush should look for a less time-consuming option. That being said, if you’re passionate about coffee and have the time to dedicate to brewing the perfect cup, the Secura Stainless Steel French Press is going to give you all the tools needed to become a master barista. 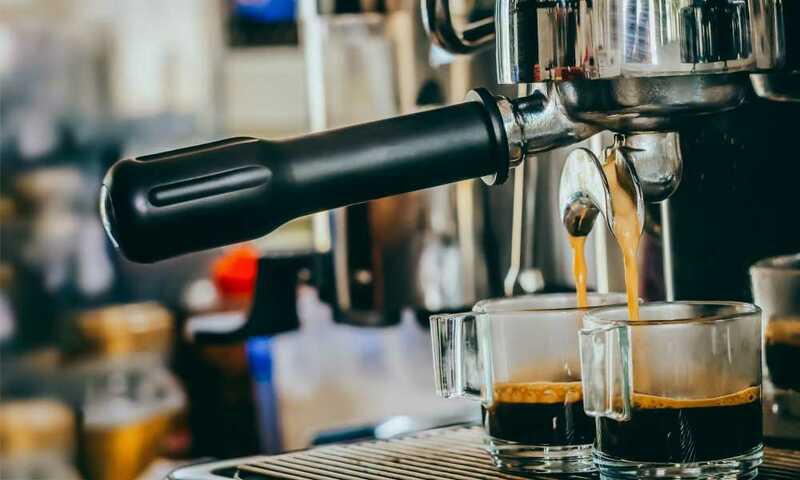 French presses allow more room for customization than coffee machines, so the Secura Stainless Steel French Press will let you put your own personal flair on every cup of coffee you brew. When you purchase the Secura Stainless Steel French Press, you will receive a bonus stainless steel screen. 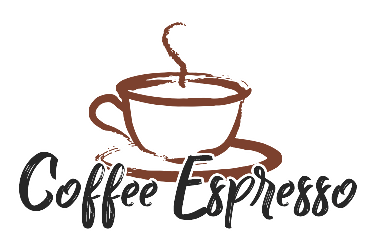 When you add multiple screens to your French press, you give your espresso a more refined taste, so the additional screen makes it possible to achieve coffeehouse-quality coffee from the comfort of your own home. 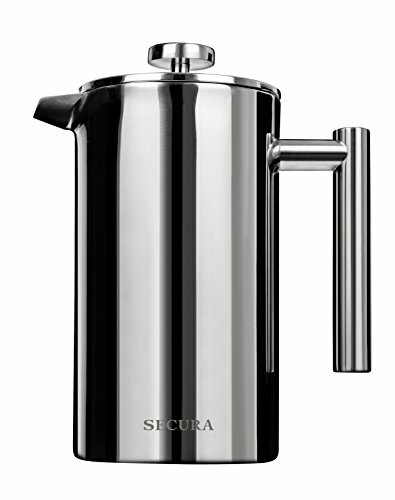 Although the French press is a relatively simple device, the Secura Stainless Steel French Press boasts a plethora of unique features. Along with its aforementioned triple-layer steel filter structure, this French press features double-wall construction, so your coffee will stay nice and hot, long after it has been brewed. For safe brewing and pouring, Secura has fitted this French press with a cool-touch handle and knob, which eliminates the risk of burns. Finally, all parts of the Secura Stainless Steel French Press are dishwasher safe, so you won’t have to dedicate half an hour to washing and drying them by hand every time you finish a cup of coffee. Using a French press is pretty easy, but the rise of one-touch coffee makers has rendered it something of a lost art. In the video below, you will be guided through the process of using the Secura Stainless Steel French Press - or any French press, for that matter - to brew the perfect cup of coffee so you can resurrect that lost art. Even if we don’t include the countless coffee makers and brands of instant coffee available in every grocery store, there are many alternatives to the Secura Stainless Steel French Press. This is a 34-ounce model, which means it is most suited to brewing a couple of cups of coffee at a time. If you live alone or are the only coffee drinker in your house, a 34-ounce French press is unnecessary and will cost you more money than you need to spend. For the lone coffee drinker, there is the BRAZIL French Press from the good folks over at Bodum. The Bodum BRAZIL French Press offers many of the features of the Secura Stainless Steel French Press - minus the stainless steel body - but is a 12-ounce model and can be purchased for less than $20. Nothing cures professional, personal or even national malaise like a good cup of coffee. And nothing brews a good cup of coffee like a quality French press. With the Secura Stainless Steel French Press, you’ll have the power to customize every cup of coffee to fit your preferences at the time of brewing, so you’ll always be able to craft a drink that suits your mood. 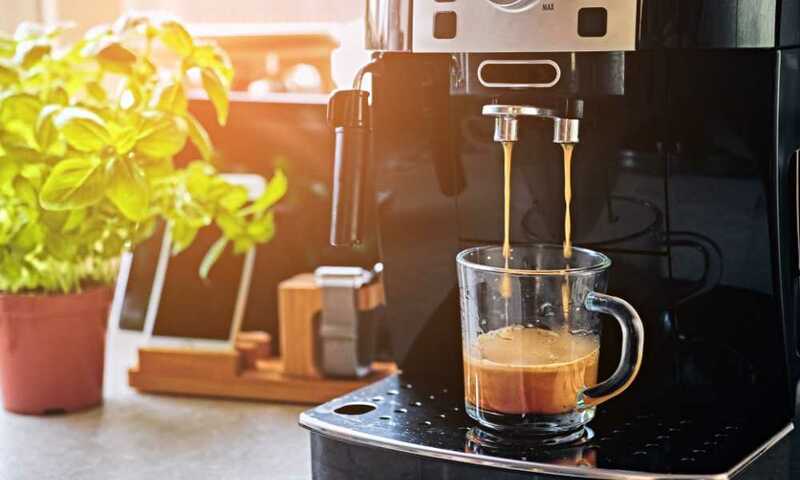 Its triple-layer filtration system ensures you get nothing but a mouthful of the smoothest coffee every time, with the grinds remaining firmly inside the press. Sure, the Secura Stainless Steel French Press may require more time and dedication than a Nespresso machine, but it promises a level of creative control and artistry that other manufacturers just can’t compete with.